The last century has seen the revolutionary remaking of Christianity into a truly world religion. How did it happen? What triggered the emergence of this new global faith no longer dominated by the West, full of new and vital forms of devotion? 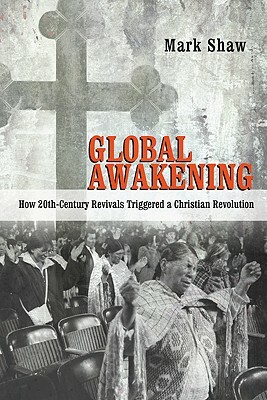 Mark Shaw's provocative thesis is that far-flung revivals are at the heart of the global resurgence of Christianity. These were not the quirky folk rituals associated with rural America and nineteenth-century camp meetings that belong more to an age of plows and prairies than of postmodernity and globalization. Rather they were like forces of nature, protean, constantly adjusting their features and ferocity to new times and to new places, speaking Spanish, Portuguese, Yoruba, Korean, Mandarin and Gujarati. They crossed the equator. As they traveled abroad they grabbed hold of missionaries, Bible translations, national evangelists, globalization and glossolalia and turned them into a religious revolution. In this engaging book we read the stories of Joseph Babalola and the Aladura Revival in Africa, of Kil Sun-Ju and the great Korean revival of 1907, of Paulo Borges Jr. and explosion of neo-Pentecostalism in Brazil, and of V. S. Azariah and the mass conversions of the Dalit people in India. As Shaw paints portraits of these and many more, his gallery fills, and we begin to see beyond isolated pictures to the sweeping landscape that we didn't realize was before our eyes all the time.